When baked on cookie sheets, the loaves tend to flaten out. 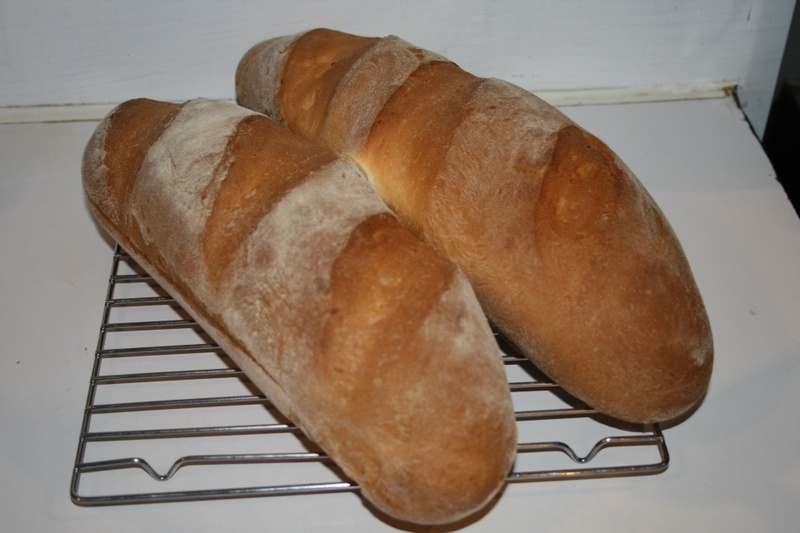 French bread "molds" help the finished bread have that classic French loaf look. 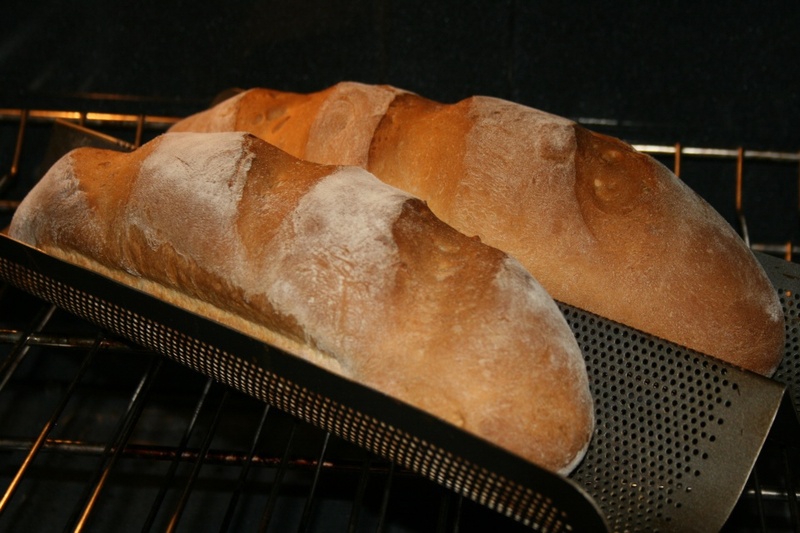 Bread can be made in a bread machine capable of making large loaves of bread. Use the French bread setting and, depending on your machine, select the appropriate crust color. Place all ingredients in a large bowl and make your dough. Remove dough to floured surface and thoroughly knead dough until uniform and non-sticky. Return the dough to the bowl. Cover with a cloth and set in a warm place to rise. When the dough has doubled, remove from bowl and knead the dough again until of a uniform consistency. Divide the dough into two equal pieces. For each piece, flatten into rectangle. Roll out until 12 by 6 inches. Roll into 12 inch long cigar shape. Pinch seam to close and round ends with the fingers. Place dough rolls on cookie sheet. Make slits with serrated knife, if desired. Cover with cloth and set in warm place to rise. When dough has risen to loaf size, bake in preheated 375°F. oven for 20 to 25 minutes or until crust is a nice golden brown. Allow to cool on rack. Before baking, brush loaf with beaten egg, if desired, for a glossy finish.